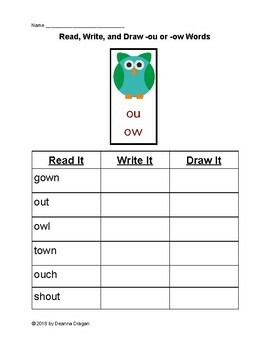 Students practice reading words with different vowel sounds and show what they know by drawing a picture of the word. They also practice writing the word. 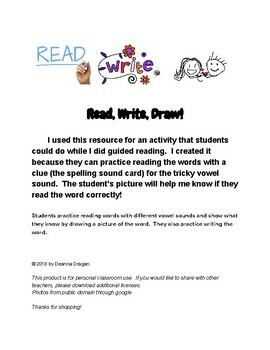 I used this resource for an activity that students could do while I did guided reading. 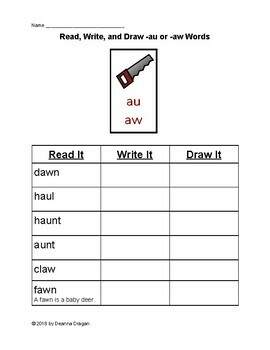 I created it because they can practice reading the words with a clue (the spelling sound card) for the tricky vowel sound. The student’s picture will help me know if they read the word correctly!